This website, and the other websites under the Fantasy Football Metrics, College Football Metrics, and Total Football Advisors, LLC. domain, is operated by Fantasy Football Metrics and Total Football Advisors, LLC. Throughout the site, the terms “we”, “us” and “our” refer to Fantasy Football Metrics and Total Football Advisors, LLC. 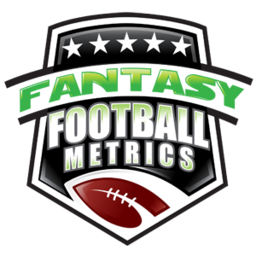 Fantasy Football Metrics offers this website, including all information, tools and services available from this site to you, the user, conditioned upon your acceptance of all terms, conditions, policies and notices stated here. Any new features or tools which are added to the current subscriptions shall also be subject to the Terms of Service. You can review the most current version of the Terms of Service at any time on this page. We reserve the right to update, change or replace any part of these Terms of Service by posting updates and/or changes to our website. It is your responsibility to check this page periodically for changes. Your continued use of or access to the website following the posting of any changes constitutes acceptance of those changes. Our subscription-based website uses Sentry Login, AuthPro, Stripe, and PayPal to collect payments and manage members. To use the Service, you will need to register and create an account. Non-encrypted information collected to use the Service include your full name, IP address, city, state, zip code, country, phone number, physical address, and email address. Encrypted information collected to use the Service include your password and credit/debit card information. You understand that your content (not including encrypted information), may be transferred unencrypted and involve (a) transmissions over various networks; and (b) changes to conform and adapt to technical requirements of connecting networks or devices. We reserve the right to refuse any order you place with us. In the event that we make a change to or cancel an order, we may attempt to notify you by contacting the e-mail and/or billing address/phone number provided at the time the order was made. We reserve the right to limit or prohibit orders that, in our sole judgment, appear to be placed by dealers, resellers or distributors. It is your sole responsibility to ensure that no unauthorized person shall have access to your password or account. We encourage you to use “strong” passwords (passwords that use a combination of upper and lowercase letters, symbols, and numbers) to protect your account. We are not liable for any damages related to the theft of or your disclosure of passwords. You shall immediately notify us of any unauthorized use of your account or password or any breach of confidentiality. You are solely responsible for any damage resulting from the use of your account. You may access, control, and update your personal information by changing your settings in your account profile. By providing us with your email address, you consent to the use of that email address to issue Service-related notices to you, including any notices required by law. We may also use your email address to send you other messages, such as updates to the Service. You may not opt out of these messages unless you cancel your account. Occasionally there may be information on our site or in the Service that contains typographical errors, inaccuracies or omissions that may relate to product descriptions, pricing, promotions, or offers. We reserve the right to correct any errors, inaccuracies or omissions, and to change or update information or cancel orders if any information in the Service or on any related website is inaccurate at any time without prior notice (including after you have submitted your order). In no case shall Fantasy Football Metrics, our directors, officers, employees, affiliates, agents, contractors, interns, suppliers, service providers or licensors be liable for any injury, loss, claim, or any direct, indirect, incidental, punitive, special, or consequential damages of any kind, including, without limitation lost profits, lost revenue, lost savings, loss of data, replacement costs, or any similar damages, whether based in contract, tort (including negligence), strict liability or otherwise, arising from your use of any of the service or any products procured using the service, or for any other claim related in any way to your use of the service or any product, including, but not limited to, any errors or omissions in any content, or any loss or damage of any kind incurred as a result of the use of the service or any content (or product) posted, transmitted, or otherwise made available via the service, even if advised of their possibility. Because some states or jurisdictions do not allow the exclusion or the limitation of liability for consequential or incidental damages, in such states or jurisdictions, our liability shall be limited to the maximum extent permitted by law. You agree to indemnify, defend and hold harmless Fantasy Football Metrics and our parent, subsidiaries, affiliates, partners, officers, directors, agents, contractors, licensors, service providers, subcontractors, suppliers, interns and employees, harmless from any claim or demand, including reasonable attorneys’ fees, made by any third-party due to or arising out of your breach of these Terms of Service or the documents they incorporate by reference, or your violation of any law or the rights of a third-party. The Service is operated and controlled from its facilities in the United States. Although the Service may be accessible worldwide, we make no representation that the Service or the materials on the Service are appropriate or available for use in locations outside the United States and thus accessing the Service from territories where its use is illegal is prohibited. Those who access or use the Service from other jurisdictions do so at their own will and are entirely responsible for compliance with all applicable United States and local laws and regulations. You may not use the Service if you are a resident of a country embargoed by the United States, or are a foreign person or entity blocked or denied by the United States government. Unless otherwise explicitly stated, all materials found on the Service are solely directed to individuals, companies, or other entities located in the United States.